The FITBENCH facilitates fast exercise changes using functional equipment, neatly designed in and around the bench. It’s Where Function Meets Fitness. We love the design of the FITBENCH for so many reasons. All the equipment is easy to access and store, making for quick transitions in our high intensity interval classes. We love how supportive the top of the bench is, something that we were having issues with our last benches. We also love the look of the FITBENCH – it has clean lines, looks modern, and stores all the equipment in an appealing way. 1FitLife is a fitness & lifestyle production company providing everything from consultation, on set production, all the way to taking your content to market. At 1FitLife we have a wide selection of models and athletes for our clients to choose from. Qualified Chartered Accountants based in Christchurch, Dorset on the south coast of the UK. Serving small to medium sized businesses across Bournemouth, Poole, Christchurch, Ringwood and the New Forest.  This website has many features such as a membership sign up function and a content structure that serves content to public visitors and private content to members once they login. From tarmac to trail and everywhere inbetween, at Cycle Reviewer we’re cultivating a tasty range of bike tests and product reviews and laying them out in a succinct and informative way for our readers to enjoy. Join us as we review the lightest and toughest bikes around as well as bikes for budget conscious commuters and hip urban riders alike – plus all the finest kit and clobber you’ll ever need. Enjoy the ride! Intulo Health has been offering sports, remedial and pain relieving massage for over 5 years. Currently located at the Shelley Manor Medical Centre in Bournemouth the therapy you receive is based around prevention of pain as well as relieving existing symptoms whilst searching to for the cause. Do you suffer with migraines or ongoing headaches? Do you suffer with constant lower back pain? Do you get neck pain from being at your desk all day? Do you struggle to get out of bed due to stiffness? Do you suffer from stiffness or pain in your hips or knees? If the answer to any of the questions above is a yes, then you should get in touch with our friends at Intulo Health. Working from her studio in Southbourne, Clair dedicates her entire time to you & your day, only taking on around 30 weddings a year to keep things exclusive. Mad4Dance is a dance school based in Christchurch offering professional dance training to children and adults of all ages in Street Dance and Contemporary, providing performance opportunities for those wishing to develop their ability and technique to a more advanced level. Julie Laming is the school’s principal and founder and believes that dance is really effective in enabling people to have a greater confidence in themselves and in what they can achieve. Cracking Media have helped Julie build a web site for Mad4Dance with an extensive video library which shows the very visual skills of dance off at it’s best. Over the last year Mad4Dance has grown to include new dance techniques, extra classes and new teachers. 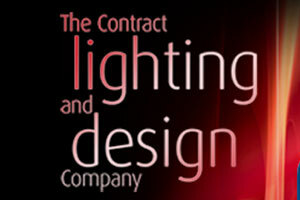 Contract Lighting is a designer and decorative lighting supplier with over 25 years experience in providing high quality contemporary and traditional lighting to the contract and domestic market. All of their ranges reflect the latest in lighting fashions from modern to classic, crystal to outdoor and the latest LED technology. The Contract Lighting and Design Company also offer a bespoke service turning your ideas into reality along with full design facilities.